How Long Does Hair Have to Be for Extensions? Be sure to use products specifically made for synthetic hair. Whether you are wearing a wig for fashion purposes or because you are dissatisfied with your natural hair, sometimes it's necessary to pump up the volume of your wig. Fortunately, you can style your synthetic wig almost as easily as you would if you were working with real human hair. In fact, this material is easier to care for than a wig made from real human hair. 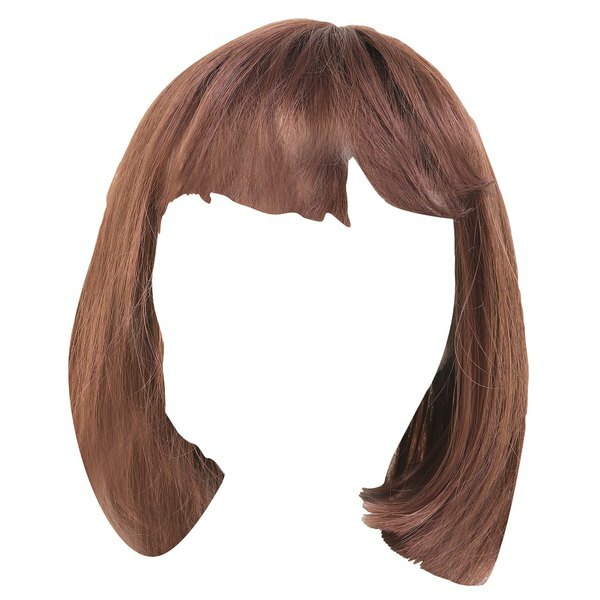 However, if you don't use the right products, you can damage or destroy a synthetic wig. For this reason, it is essential to use only products and tools designed for use on synthetic wigs. Bring your wig to a stylist experienced in shaping wigs and ask for a cut that enhances volume. Your stylist will most likely add lots of layers and texturize your ends with a razor. A haircut can make a more noticeable difference in a wig than styling tricks and products, and the stylist will cut the wig while you wear it as if it were your natural hair, resulting in a custom cut that flatters your features while adding volume. Define the layers that your wig came with or that the stylist cut by using texturizing products designed for synthetic hair. By separating your layers, you will add volume and movement to your style. Use hair spray to increase your wig’s volume. This product works by increasing the thickness of each strand of hair and allowing it to remain scrunched or teased, two styles that increase the volume of your hair. Apply a hairspray designed for synthetic wigs throughout and scrunch or backcomb to obtain a voluminous look. Curl your hair using hot tools from a company that makes tools specifically designed to work safely with synthetic wigs. Divide your hair into small sections and wrap each piece around the hot iron of your curling tool. A head full of tight curls will add significant volume to your synthetic wig.